Amazon has ordered a fourth season of The Expanse after the show was canceled by Syfy, its home for three seasons. "I was talking to the cast half an hour ago, before the break for dinner started," Amazon boss Jeff Bezos said at the National Space Society's International Space Development Conference in Los Angeles Friday night. "I was telling them that we are working hard at Amazon to save The Expanse, but it wasn't a done deal yet. During dinner, 10 minutes ago, I just got word that The Expanse is saved. The show is extraordinary and these guys are unbelievably talented." 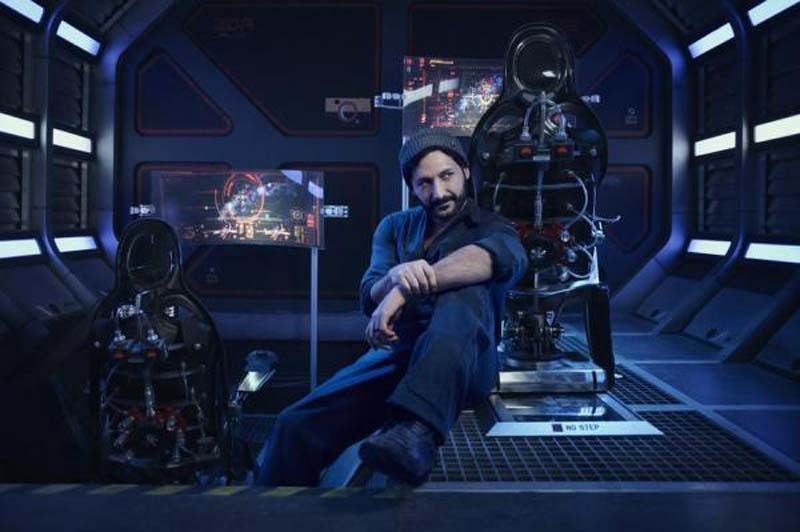 The show's Season 3 finale is scheduled to air on Syfy June 27. The cable network announced earlier this month that it wasn't bringing it back for Season 4. Starring Steven Strait, Shohreh Aghdashloo, Dominique Tipper, Cas Anvar, Wes Chatham, Frankie Adams and Thomas Jane, the space drama is based on the James S.A. Corey book series of the same name. It is about how human beings colonized the solar system. Anvar posted a video of Bezos' announcement on Twitter.